Fresh Angeles: LEGO Scooby-Doo Stop Motion Videos and a Giveaway! LEGO Scooby-Doo Stop Motion Videos and a Giveaway! 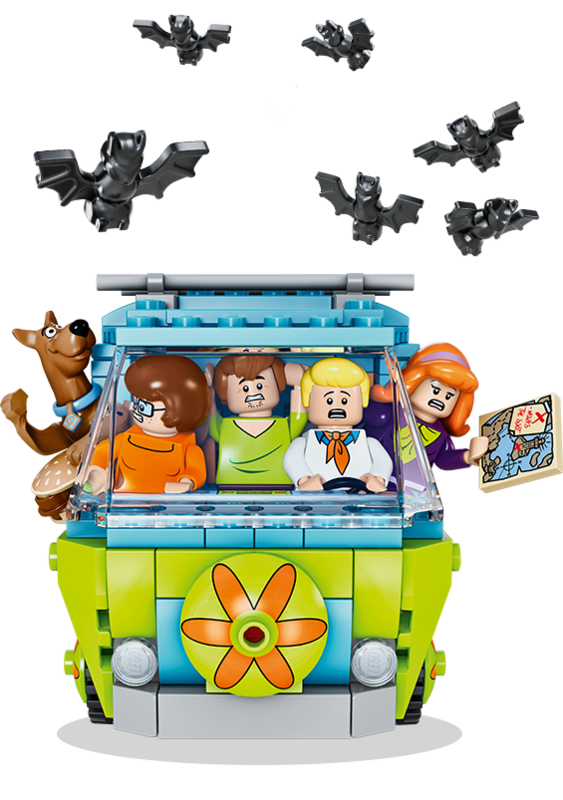 Have you seen the new Scooby-Doo sets from LEGO? They're cool man! But you should see them in action... stop motion action, that is. Two of the things that my youngest daughter can't get enough of right now are LEGO and YouTube. She can spend hours building LEGO sets and she can spend hours watching videos on YouTube. So hearing about these awesome Scooby-Doo stop motion videos created using the brand new LEGO Scooby-Doo sets was fun news! She has actually just started her own YouTube Channel, (Rainbow vs. Everything - go subscribe) about gaming, reviews, unboxings and theme parks. So naturally, I am hoping that watching these videos inspires her to make stop motion movies of her own. After she builds her LEGO sets, I will encourage her to take photos and videos of them in creative play. I love this idea as a way to really stretch her imagination. Can you tell I'm trying to groom her into the next Scorsese, one LEGO film at a time. Scooby Dooby Doo, where are you? Busy watching creepy fun videos on the WB Kids YouTube Channel, no doubt. New videos will be uploaded weekly – so be sure to visit ScoobyDoo.com and subscribe to the WB Kids YouTube channel. It’s great to read a little bit about what happens behind the scenes! Escorts Agency High Profile Delhi Thank you so much. Are you searching somebody to get your holly hearted love back by the astrological vashikaran mantra or are you doing some kind of prayers to get you a lost love back specialist .